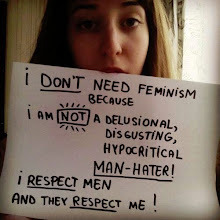 "Fighting for women's rights has too often become synonymous with man hating. I decided that I was a feminist, and this seemed uncomplicated to me. But my recent research has shown me that feminism has become an unpopular word. Women are choosing not to identify as feminists." emma watson. #heforshe??? but wait a minute, I thought feminists didn't need men?...lol.